It's no secret; I love beer! 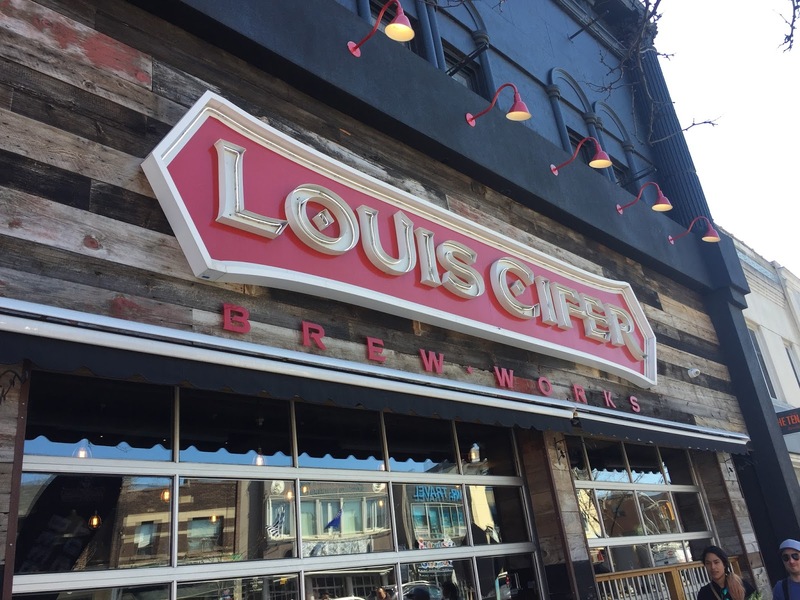 When walking down the Danforth, it's only natural that I would end up at Louis Cifer. It's a delightful brewery and restaurant. They have a great beer selection, both their own and local. This is a large venue, with upstairs and patio seating. This place is great for large groups! I've been there a few times and each visit was devilishly fab. My first visit consisted of beer and burgers. 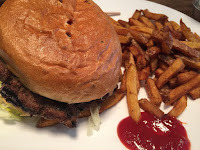 I grabbed a flight and a Brew Works Burger with fries. Fresh, hot and tasty; it went well with the beer. I tried a flight of 4 house brews. If you've never had their beers, I recommend a flight. They've got some unique flavours on their Saison/One-Off menu you've got to taste, like Blood Orange Blonde and Coconut Lemongrass Thai-PA.
My second visit was for brunch! It was in the afternoon; not thinking that I was there for brunch, only that I was at a brewery, I definitely had beer with my Eggs Benny. 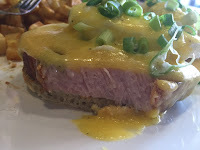 #facepalm Their eggs benny is called Big Benny for a reason; the meat is thicker than the bread. I couldn't freaking believe it. I've eaten a ridiculous amount of eggs benny and I've never seen it like this. While I was going into shock, my aunt enjoyed her Huevos Rancheros and beer. Another stellar visit to Louis Cifer! The last visit was during a pub crawl. We had the whole upstairs and we needed it. I'm not sure they quite expected the 100+ people that arrived in 30min time. They didn't have any specials for the pub crawl, but the servers worked their asses off serving us. They did an amazing job; very organized with some serious teamwork. 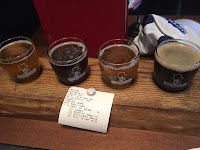 Each visit was different, but the great beer and great service were consistent. I look forward to going back again!